Corporations sponsor blog posts all the time. It’s a reality of the world of online journalism–corporations can provide the big bucks necessary to keep the figurative lights on. 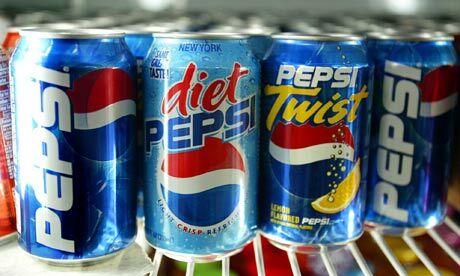 Why, then, is the scientific community so riled up about Food Frontiers, a new PepsiCo-sponsored blog on the ScienceBlogs network? The blog, launched this week, will purportedly offer insight on science, nutrition, and health policy–with information on PepsiCo’s “nutritious” products sprinkled in. But ScienceBlogs made a big mistake: In the first iteration of the blog, a sidebar explained, “All editorial content on the blog is overseen by ScienceBlogs editors.” It didn’t explicitly mention that the blog was sponsored by PepsiCo. scientist’s affiliation and conflicts of interest.” But many ScienceBloggers are still displeased, arguing that every post from Food Frontiers should be labeled as an advertisement at the top–perhaps even with a giant PepsiCo banner logo. establishment of a transparent dialogue. Both sides have fair points, but perhaps it makes the most sense to hold back on judgment for the moment–Food Frontiers hasn’t even put up its first post.